Caring for children in emergency departments (EDs) has always been challenging, but expectations have been clarified somewhat by last year’s Royal College of Paediatrics and Child Health (RCPCH) (2018a) and RCN (2017) standards on the monitoring of children’s vital signs. The RCPCH (2018a) document recognises there are too few paediatric clinicians. Although the Royal College of Emergency Medicine is working to address this issue in the medical workforce, it has been recognised that half of EDs do not meet the requirement that an emergency medicine consultant with specialist emergency paediatric competencies should be present. Many EDs will also struggle with the requirement that two children’s nurses should be on duty each shift. 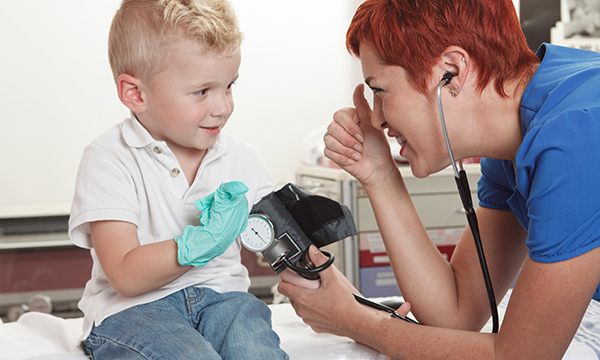 There is a shortage of registered children’s nurses and many EDs cannot recruit them. This is because children’s nurses tend to want to work with children in acute or community settings rather than urgent care or minor injury centres, where they may also care for adults. Consequently, meeting this standard in urgent care may be a pipedream. Although the RCPCH (2018a) standards’ requirement that those who assess children in EDs must have paediatric competencies is welcome, the actual competencies required have not been clarified beyond an acknowledgement that staff should be trained to recognise and respond to the sick child. In EDs with no separate paediatric areas, emergency nurse practitioners and doctors see, treat and discharge children. But they are not required to demonstrate competency in recognising and responding to children with minor injuries and illnesses, or in understanding red flags. However, for the first time, the RCPCH (2018a, 2018b) does suggest evidence that EDs and urgent care centres seek feedback from patients aged 0-16 years or their parents, and provides examples of the tools that can be used to measure this. Such feedback could be useful evidence for Care Quality Commission visits to demonstrate how a department is trying to improve its care services. The RCPCH (2018a) also acknowledges that many children could be cared for effectively in the community and that parents often use EDs instead of local GP surgeries, perhaps due to access issues. Too few university courses offer practical training in, or education on, common presenting injuries and illnesses among children attending urgent care settings. All practitioners that see children autonomously need to be able, not only to identify sick and deteriorating children, but also to recognise and respond to minor injuries and illnesses, and recognise red flags. Prescribers working with children are expected to demonstrate competency in relation to the assessment and management of children too, but the question of how should they maintain this competency is unanswered. All ED and urgent care centre managers should read the two documents (RCN 2017, RCPCH 2018a), and find ways to ensure their staff can access emergency paediatric training and updates.